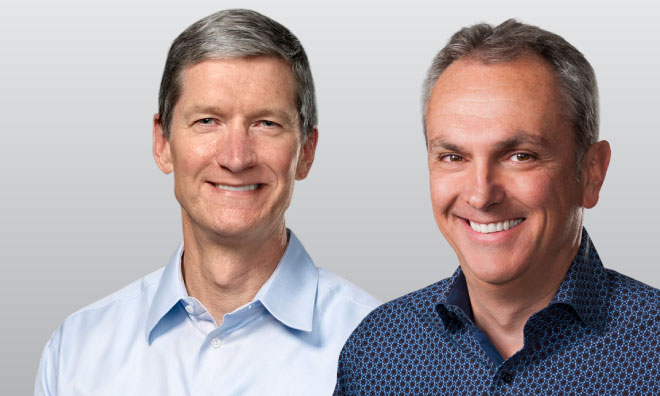 Participating in Monday's call were Apple Chief Executive Tim Cook, and Chief Financial Officer Luca Maestri. 47.5 million iPhones in the quarter, representing 37 percent year over year growth. iPhone sales more than doubled in Germany, Korea and Vietnam. Apple reduced inventory across its product lines by over 1 million units. iPhone revenue up 59 percent, sales grew in both developed and emerging markets. Highest switcher rate from Android ever in the quarter. Apple Watch is available in 19 countries now. Three more will be added at the end of the month. Apple's own research found that 94 percent of Apple Watch customers wear the device regularly. More than 700 universities are set to accept Apple Pay when school starts this fall. Cook also touted support from Square, with a new reader set to launch this fall that will let local merchants accept Apple Pay. 4.8 million Macs sold last quarter. Company continues to gain market share, based on IDC's latest estimates. Mac growth was driven by portables, and Maestri said Apple is "delighted" with customer response to the new MacBook. Continued to defy industry trends by growing once again, 9 percent. Cook said there has been great response to the new 12-inch MacBook. iPad sales were 10.9 million for the quarter a decline of 18 percent from a year ago. Maestri touted that Apple continues to have extremely high customer satisfaction with the iPad. He also noted that Apple doesn't compete in the low end of the market, but that the company is "extremely successful" in the markets where it does compete. Maestri said Apple is excited about big things coming to the iPad this fall with iOS 9, including Slide Over, split-screen multi-tasking, and picture in picture. United is equipping its staff with both iPhones and iPads. AirCanada also recently signed on as a customer. IBM released 13 new MobileFirst apps in the June quarter, including apps in retail, banking, and healthcare. There are now 35 apps in IBM's MobileFirst catalog. Apple expects more than 100 apps to be available by the end of 2015. Set a new all-time record for services revenue, particularly from the App Store. App Store revenue more than doubled in China year over year. Total sales of other products were up 49 percent year over year, and Apple Watch accounted for that growth, offsetting any losses for the iPod lineup. Maestri reiterated that Apple has no plans to announce specific sales figures for the Apple Watch. China posted growth of 112 percent. Revenue was over $13 billion. Emerging markets overall grew 79 percent to almost $18 billion. Apple opened three stores last quarter, bringing it to a global count of 456. Apple is on track to have 40 stores open in Greater China by the middle of 2016.